Put aside all the questions about regulating interstate commerce and whether declining to buy health insurance constitutes “inactivity.” Is the Obamacare mandate a tax? And, if so, does that make it constitutional? In a new piece for the Atlantic, Jack Balkin argues that the answer to both questions is plainly “yes”—and wonders why that argument hasn’t loomed larger in the court cases challenging the Affordable Care Act. Nor does it matter that Congress did not specifically invoke the tax power in its findings of fact. As the Supreme Court explained in Woods v. Cloyd W. Miller Co. in 1948, “[t]he question of the constitutionality of action taken by Congress does not depend on recitals of the power which it undertakes to exercise.” Federal statutes are presumed to be constitutional, and the courts are required to consider if they fall within any of Congress's powers even if the statute doesn't explain its constitutional basis. (Most statutes don't.) One might object that a special rule should apply for taxes. If the government is going to change the tax laws, it must state this clearly so that the people can express their displeasure by voting their representatives out of office. But this has never been the law. Moreover, the existence of the mandate has not snuck up on the public unawares, and anybody who has not been paying attention by now will figure out it out soon enough when they file their form 1040. Balkin isn't the only lawyer who has made this make this argument. The Obama Administration's attorneys, among others, have invoked this logic from the very beginning. And virtually everybody in the case, even the plaintiffs, seem to agree that a simple change in wording would make the mandate clearly permissible. Like mandates on states, economic mandates undermine political accountability, though in a different way. The public is acutely aware of tax increases. Rather than incur the political cost of imposing a general tax on the public using its tax powers, economic mandates allow Congress and the President to escape accountability for tax increases by compelling citizens to make payments directly to private companies. That seems awfully speculative to me: People were obviously aware of the mandate, from early on. Sadly, it’s one of the few elements of the law the public grasped, albeit with significant misunderstanding of the details. But suppose the critics were right and that the Democrats really did snooker the public. Is it really the Supreme Court’s job to play fact-checker in political debates? If so, will they also entertain lawsuits about Republican use of the bogus “death panel” argument? It's true, to some extent, that we depend upon the voters to police the boundaries of federal power—to guard against encroachments upon liberty that the constitution's framers might not have anticipated. But the right of government to levy taxes in order to pay for universal health insurance isn't in dispute. We already have such a scheme in place, for Medicare. Both the courts and the public signaled long ago that such schemes are constitutional. In many ways, the tax argument is more intuitive than the commerce clause arguments. (Jonathan Rauch summarizes it nicely in an op-ed for the New York Daily News.) And while the argument didn’t get a lot of attention in the lower courts, it might yet prove appealing to the Supreme Court. 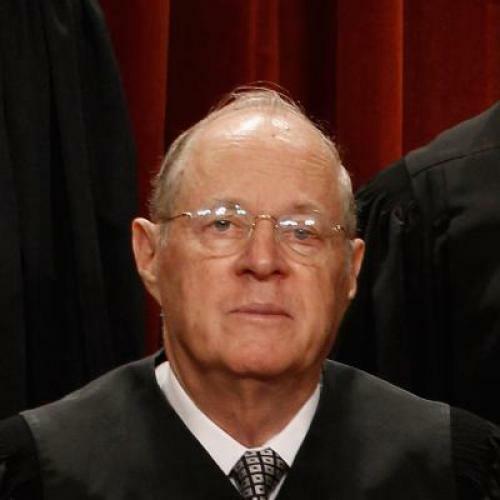 Justifying the mandate as a tax would allow the justices to uphold the law while avoiding messy questions about regulatory power—or, if they prefer, while establishing limits to that regulatory power—without overturning the largest piece of domestic legislation in a generation and oh, by the way, depriving at least 30 million people of health insurance. Not only that, but the voters have an opportunity *in the very next election* to repudiate the ACA, since Romney and the Republicans have explicitly stated that they want to repeal the law. In fact, the conservative majority on the court could hand the Republicans a weapon when they declare the ACA contsitutional because it raises taxes. Scalia, are you reading this? Also, via my Facebook page, blogger and occasional commenter John Althouse Cohen suggests that my argument means Obama is lying when he says he didn't raise taxes on people making less than $250,000. You know what? He's got a point. (Althouse, that is.) Obama did raise taxes on people who have access to affordable insurance but decline to get it. I'd call it a political misdemeanor, rather than a felony: Obama was always upfront about imposing the mandate and what that would entail; the constitutional definition of tax is a broader than the political definition, as Balkin notes. Also, the penalty itself is modest and won't end up hitting that many people. Still, as Cohen notes, Obama probably shouldn't have his budget directory denying that the mandate is a tax while his Solicitor General is arguing that it is. None of this changes what I think about the constitutionality argument, for reasons I discuss above. Jonathan Cohn, Supreme Court, Politics, Jack Balkin, Congress, John Althouse Cohen, Cloyd W. Miller Co.